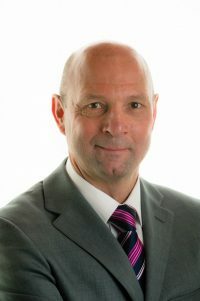 Hello, my name is Mike Webb and I have a genuine and professional desire to help people resolve their unwanted challenges. My aim is to empower clients with the emphasis on self management as soon as possible and for future prevention, so with my guidance they don’t become dependent on me longer than necessary. We are all unique individuals and we view the world and deal with life’s challenges in many different ways. At times we need appropriate support to get back in control of our emotions and move forward again in a positive way. Like most of us I have had my share of challenges in life and I use my empathy to help and support others and I am now fortunate to be in a very loving relationship. I am a fully qualified Clinical Hypnotherapist and a member of The Hypnotherapy Society, having been in private practice since 2009. I have also been in private practice as a Chartered Physiotherapist and have over 30 years experience and a qualified teacher. Therefore I have significant experience in helping to support people in a holistic way. I eventually added to my qualifications such as Health Promotion, Neuro-linguistic Programming, Life Coaching, Cognitive Behaviour Therapy, Transactional Analysis, Emotional Intelligence, Mindfulness and Thought Field Therapy. These tools give me an eclectic ability to support client’s needs. Not only do I help members of the public but offer corporate support as well.